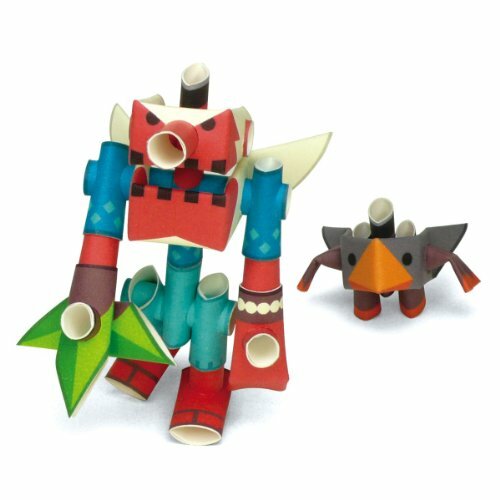 Piperoid is a paper craft robot kit designed and produced in Japan. The robots are made of paper pipes that have pre-drilled holes and marks to show where to cut, fold, and connect them. All you need is a pair of scissors and about 30 minutes for assembly. No need for glue or tape! Find them on Amazon ($14 – $16 each). There’s nothing to it. Cut, fold, assemble.